We provide a range of Chlorine Handling Automation Devices that includes Chlorine Leak Detection with Alarm, Automatic Chlorine Cylinder/ Tonner Change Over Panel and Online Chlorine Analyzers. 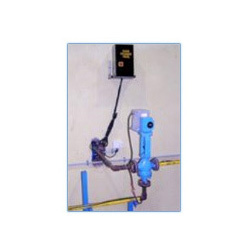 The chlorine leak detection with alarm is a versatile sampling system for detection at any particular point or location. Its unique features qualifies it for installation in any hazardous area. 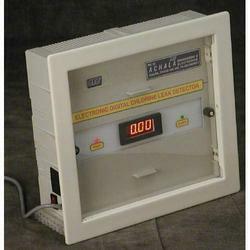 The easy maintenance and calibration, along with the optional battery backup makes it a dependable and durable electrochemical sensor. Available in both portable and static form, it offers continuous monitoring with immediate response. The chlorine handling automation devices offered by us are fabricated from quality material and are reliable and durable. These can be installed in hazardous areas and provide continuous monitoring with immediate response. Optional battery back-up with electrical pressure switch adjustment and long lasting electrochemical sensor is provided. Our range finds application in different treatment plants like water, sewage and industrial effluent treatment plants. We also provide customization as required by the client. Looking for Chlorine Handling Automation Devices ?